One of the things we pride ourselves on at Treadlight Forestry is that we use every piece of kit we sell. 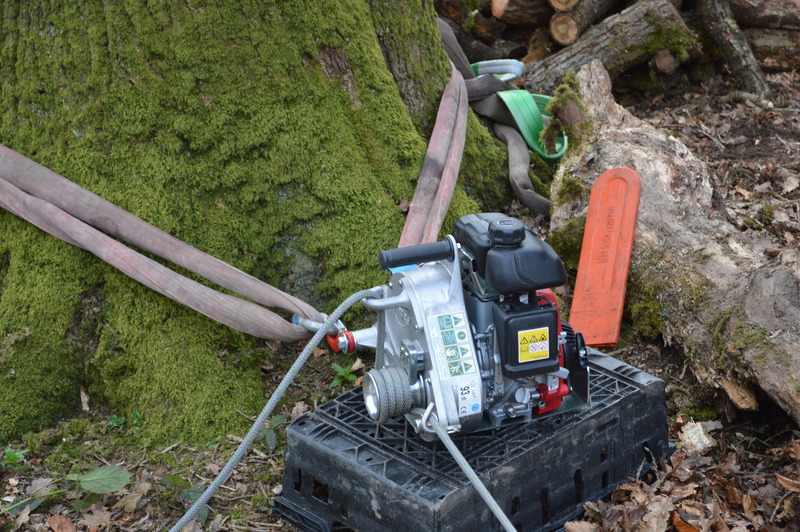 So when we got a contract clearing a woodland site for replanting we knew we had the right piece of kit for the job – the PCW5000 portable winch! The job was typical of the work we do involving tricky access and low impact techniques. 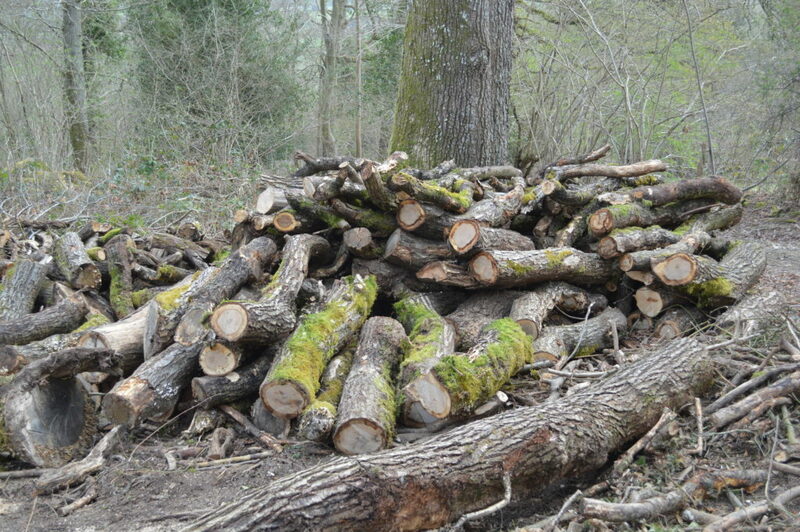 The site had been selectively felled of large oaks a few years ago but the lop and top had not been cleared. 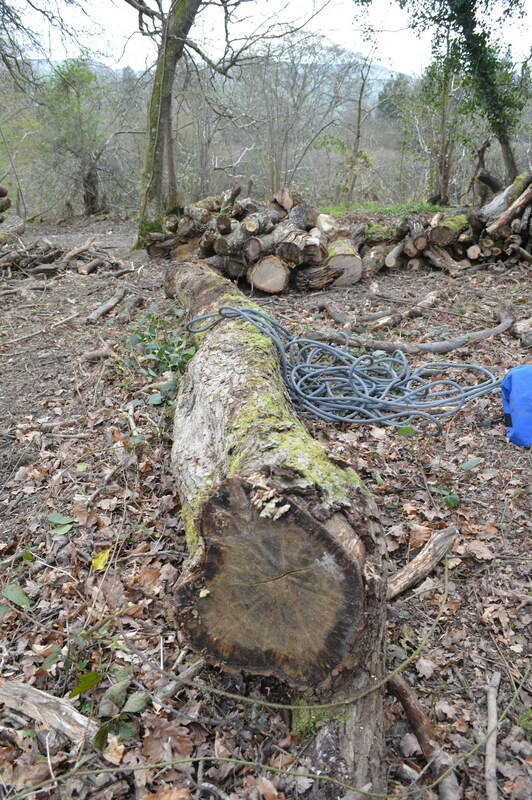 This meant the site was strewn with large bits of branch wood and brash making it impossible for the owner to replant. The owner wanted all the branch wood extracted to one side of the site but access was tricky and they did not want large machines compacting the ground. So out came the PCW5000 – it is easy to transport onto site and we set it up on one side of the clearing. 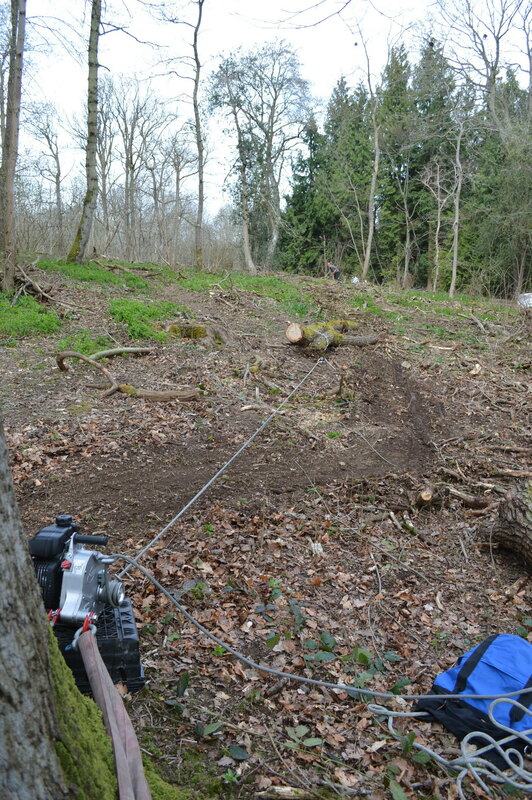 With 50m of low stretch rope we were able to pull the branch wood with ease. Sometimes we doubled or tripled up the logs to make each pull more efficient. This one took some shifting…. but at 1000KG pull the PCW5000 managed with a single line pull. 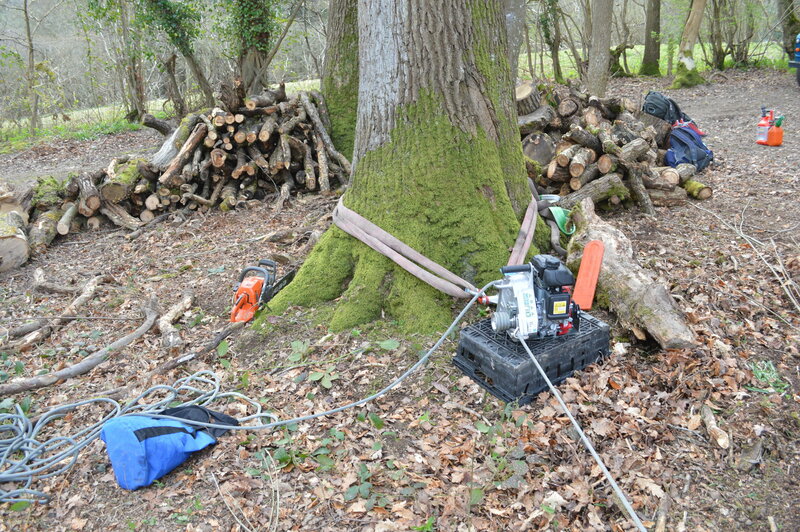 With two of us on site, one cutting and preparing the logs, the other winching and stacking we got the job done easily. It took three days in total and we shifted tons of branch wood in the process. And here is a tip we discovered on the job. Our anchor tree was a veteran oak that had wide buttresses at the base. Because of this our strop sat a little high on the tree and subsequently our winch wanted to lift off the ground with every pull. This meant the winch would sometimes drop suddenly when the load came off and bounce around. The solution – an upturned bread crate. Just right for keeping the winch steady! Next story What is a Portable Capstan Winch? We are always happy to talk over your requirements and are confident we can find you the right machine at the right price. We are friendly, open and honest so don’t be afraid! Treadlight Forestry is a Riko UK dealer. Our franchise area covers North Wales, Cheshire and Shropshire but we supply UK wide. What is a Portable Capstan Winch?